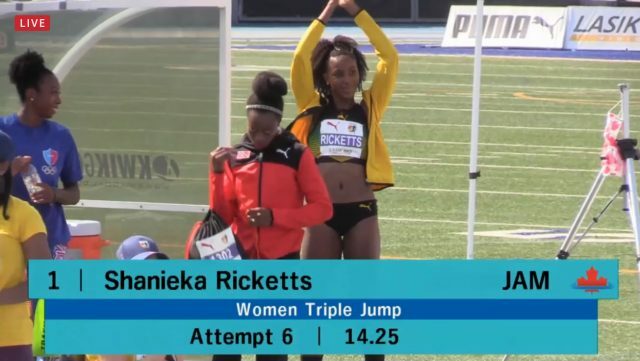 Shanieka Ricketts has set a new triple jump record after breaking her 2015 NACAC championships record to become the 2018 champion. Ricketts recorded her record-breaking jump of 14.25m on her fifth and final attempt after going back and forth for first place with American Tori Franklin. Franklin had to settle for the silver after her best attempt of 14.09m.